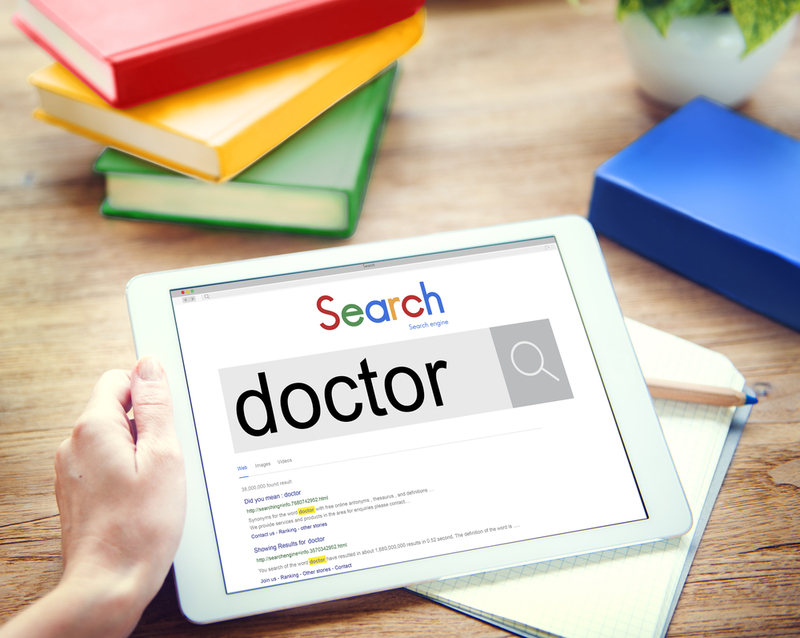 Who can you trust to improve your dental practice’s search engine rankings? We’re here to help you make the right choice this time around. Though there are many useless SEO firms out there, there are also the good ones that can genuinely help get you ranked in Google. You just have to know how to pick. Below, we’ll start by going over what dental SEO really is (and why it can work so well), then we’ll give you the nitty gritty – what to watch out for in a SEO firm, as well as what to look for in particular. If you are in charge of hiring someone for dental SEO, this is information you must understand before making your decision. From start to finish, local search engine optimization (as it relates to dental practices) is relatively easy to understand. That sounds good in itself. But, when it comes to dental practices specifically, local SEO can be even more effective than it is for other types of local businesses. People who need dentists actually use Google. There is substantial search traffic revolving around local dental queries. There is less search traffic for an industry like food services. There is very little search traffic for an industry like manufacturing. Dental appointments are relatively easy “sales”. Dental offices can handle most clients who search for “[your city] dentist”. A certain type of law office might not be able to handle every client who searches for “[your city] attorney”. Dental clients are usually not once-off. When one finds a good dentist, he or she continues to give that dentist his or her business. And the only people who search for a term like “[your city] dentist” are those who need to find a new dentist. So, you are gaining new clients every month with SEO, and those clients are coming back to you consistently because of how clients tend to stick with their dentists. It sounds enticing because it is. SEO in general is already a very effective form of marketing for local businesses, and past that, for the reasons above, dental SEO is one of the most effective subsets of local SEO. That’s why there are so many bad (and good) SEO firms competing for your business. Here’s how you go about avoiding the bad ones and picking a good one. Bad SEO firms will give you a one-size-fits-all price, and they will give that same price to all their other clients, too. If they do this, you are buying a certain amount of work from that firm – but there is no guarantee it will be enough work to rank your specific website for your desired search terms. If the firm is not analyzing your website and your competition before giving you a quote, stay away. Search engine optimization can be effective marketing… but it’s not magic. If you make requests and keep hearing “yes” over and over again without any pushback or increase in pricing, you may want to re-evaluate. The firm is either saying “yes” to close the sale at all costs, or the firm does not know if your requests are actually possible, and is just saying “yes” to close the sale and revert on promises later. There is no such thing as a dental SEO firm. There are SEO firms that help with local SEO exclusively, but no legitimate firm will focus on just one type of small business like that. There is no reason to. If a website claims to be specialized for dental SEO only, that site is likely a shell for another company. Stay away. Just as there are definite red flags, there are definite ways to know you have made contact with a reputable firm. No two dental SEO projects are the same. The mark of a good SEO firm is when they go above and beyond to create a custom strategy for your practice in particular. They analyze your city/town and competition to find the easiest, most lucrative search terms for you to rank for. The easier the search term, the less you pay for SEO – trying to rank for “[your city] dentist” is the standard approach, but it’s not always the most cost-effective one. They give you a personalized quote that ensures you will actually rank for those easy, lucrative search terms – and not just “try to rank” for them. It’s better to pay X and get to the top of the first page than it is to pay 70% of X and get nowhere. They outline costs in an easy-to-understand way if you have any questions. Local SEO campaigns usually take a few months of work to achieve top rankings. Your firm should give you a timetable of when you can expect to see your new rankings. If the firm claims rankings will be close to instant, or that they “aren’t sure” when your rankings will come to fruition, you should stay away. We covered that “dental SEO firms” do not really exist. You must choose a more general SEO firm to handle your dental SEO needs. You don’t want to work with a gigantic SEO corporation that handles the projects of Fortune 500 companies or similar-sized companies. Though the work will likely be good, your costs will be exorbitant, and you may not get the personalized treatment you deserve. Even if you have a large practice, your SEO campaign will still be a smaller one in their eyes. At the same time, you don’t want to work with a tiny, one-man operation that struggles to find even the most insignificant of clients. Costs may be affordable, but results aren’t guaranteed – and you may not get the professional experience you are searching for. SearchAdvisor is the perfect pick in between those two. We work with local clients of all shapes and sizes, and our track record is close to flawless for three very simple reasons. We only accept clients who we know we can help. Contact us and we will do our homework in full before giving you a firm “yes” or “no” on if we can help you thrive. We keep costs down and provide realistic expectations of results. We go the extra mile to find lucrative, easy-to-rank search terms for you, and we tell you exactly when you can expect to rank for them (if you choose to work with us). We know local SEO in general. We have been doing it for over a decade. In that time, we have helped over 160 local clients rank high in Google. We have perfected our craft. Local search engine optimization isn’t easy for most. But for us, as long as we give you a “yes” answer in bullet #1, your results are guaranteed. To get started with your campaign, give us a call us at 1-877-819-7654 or click here to send us a message. Let’s get you ranked so that you create a new marketing channel for website traffic, phone calls, and appointment bookings, and let’s do it in a way that you, and your wallet, are comfortable with. Call 1-877-819-7654 or click here to get started with SearchAdvisor today.